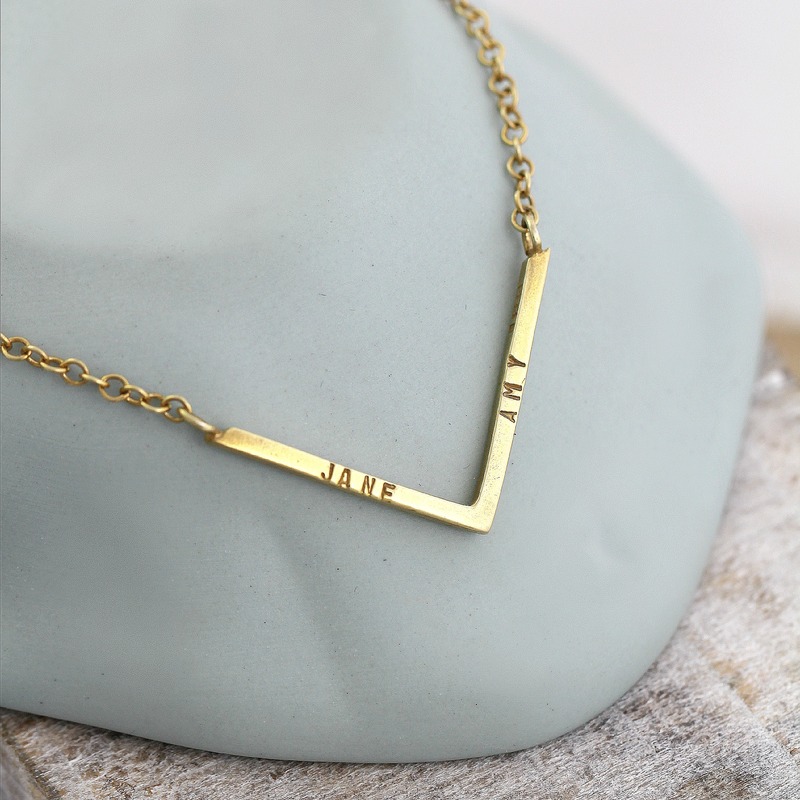 Each 'arm' of this eye-catching 18ct yellow gold plated chevron necklace can be personalised creating a truly contemporary piece of jewellery.Popular personalisations are motivational words, names, special dates, 'live, love'' and other personal sentiments unique to the recipient. Incudes an 18" trace chain.Personalisation: Up to 6 characters on each arm.Size: The chevron arms measure 2.5 cm each, and 3cm across. Handstamping is in a 1mm font.